Cameron Reddish is an American college basketball player who plays for the Duke University. As of 2019, Reddish currently plays as a Small forward/Shooting guard for the Duke Blue Devils. Further, he has played for the United States men's national under-19 basketball team. Reddish, the college star athlete is projected to be the top prospects of the 2019 NBA Draft. 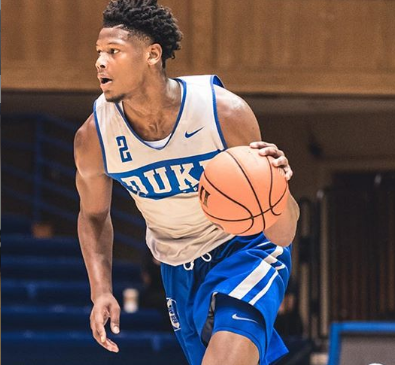 What is Cam Reddish known for? An American college basketball player who currently plays as a Small forward/Shooting guard for the Duke Blue Devils. His Versatile skills, stunning good looks, and physical features. Where is Cam Reddish grew up? 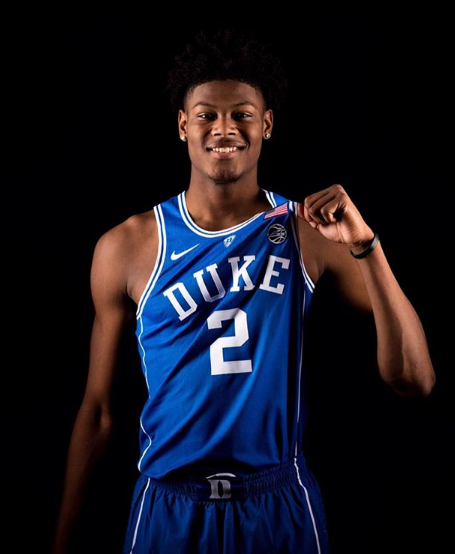 Cam Reddish was born in Norristown, Pennsylvania to parents Robert Reddish and Zanthia Reddish. He grew up along with his younger brother Aaron Reddish. He was born with Cameron Elijah Reddish birth name. His birth sign is Virgo. His nationality is American and belongs to the African-American ethnic group. Reddish attended The Haverford School in Delaware County, Pennsylvania as a freshman before transferring to Westtown School in Westtown Township, Chester County, Pennsylvania. During his High School, Reddish was rated as a 5-star recruit and is ranked as the 2nd best player in the 2018 class by 247Sports.com, while being ranked as the 3rd best recruit by ESPN along with R.J Barrett and Zion Williamson. 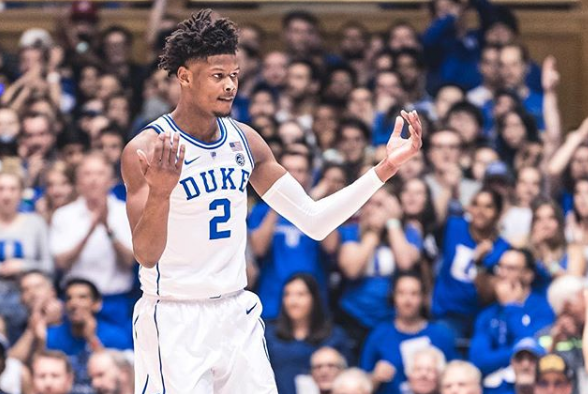 What is the profession of Cam Reddish? 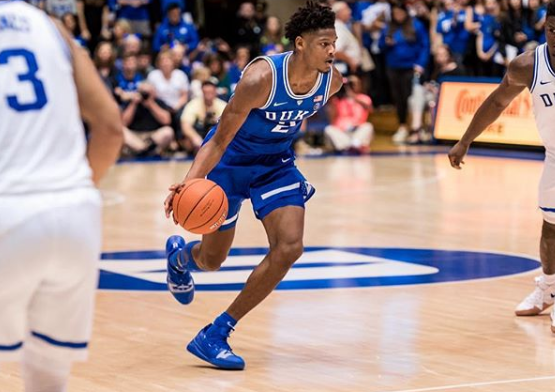 Cameron Reddish is considered to be one of the elite young players who could go straight up to the first round pick in the 2019 NBA Draft. As he is playing for college basketball, Reddish's professional career is yet to be started. At an early age, Reddish learned basketball from his father, Robert, who is a former college basketball player. In 2016, Reddish led his high school team to win League and State Championships. During the summer of 2017, Reddish played for the United States men's National Under-19 Basketball team. Ranked as the third-best recruit by ESPN, he was rated a 5-star and was considered the second best player in 2018. Reddish has already drawn comparisons to top basketball players like Penny Hardaway, Grant Hill, Paul George, Rudy Gay, and Jimmy Butler. He was named to the 2018 USA Junior National Select Team for the 21st annual Nike Hoop Summit on March 13, 2018. The third best player of ESPN class won a Bronze medal in 2017 FIBA U19 World Cup. On November 6, 2018, in his Duke debut, Reddish scored 22 points to a 118-84 win over Kentucky Basketball team with a tough defensive end in the Champions Classic. Cameron compares his game to Kevin Durant, another best NBA player, while his favorite player is Allen Iverson. In a recent interview, Cam said he would like to match up against with another NBA player Paul George. Is Cam Reddish Dating Someone? Regarding his personal life, Cameron is 19 years as of 2019. He has an athletic body and astonishing basketball skills. However, the third best player of 2018 ESPN class is currently single and he hasn't revealed anything about his personal relationships or girlfriend. Further, he is popular on social media also. Reddish has more than 281k followers on Instagram and 28k followers on Twitter. How much salary Cam Reddish assumed? Cameron Reddish is regarded as the top three contenders of the 2019 NBA draft. It is estimated that his annual salary with the Duke is around $40,000. As he is a college basketball player, Reddish's professional career is yet to be started. Further, if he is selected in the first round of the NBA draft, his salary could go straight up to $7 million. Reddish has gained huge attention from coaches and recruiters while he was in Duke. Along with Williamson, R.J Barrett, and Reddish, a single school has never been responsible for the first three picks of a single NBA Draft. In addition, it appears that Reddish will be sponsored by NIKE. The closest situation may have been in 2012, when national champion Kentucky’s Anthony Davis and Michael Kidd-Gilchrist went first and second, respectively. Florida’s Bradley Beal went third. How tall Cam Reddish is? Observing his body figures, He stands a height of 6 feet 8 inches and weighs around 99 kilos. Similarly, He has a pair of black eyes and hair color. Further, The talented athlete is known for his stunning good looks and physical features. However, his body measurements were not disclosed yet. In the case of disclosed, we will let you know. His freshman year at Duke he helped lead the team to an ACC tournament title and the #1 overall seed in the 2019 NCAA Tournament.